Scientists once considered the idea of our sun being part of a binary star system highly unlikely, but the recent discovery of the planetoid Sedna adds credence to the idea that our sun might have a companion star, most likely a brown dwarf. Scientists at the Binary Research Institute (BRI) claim that the orbital characteristics of Sedna are consistent with the hypothesis that our sun is gravitationally bound to another star, where both orbit a common center of mass. Once thought to be rarities in the cosmos, binary star systems are now thought to be quite common in our galaxy. Despite this general acceptance, astronomers have thus far found it difficult to prove that our sun has a companion star. Walter Cruttenden (author of Lost Star of Myth and Time) at BRI, Professor Richard Muller at UC Berkeley and Daniel Whitmire of the University of Louisiana have been researching the existence of a binary star for some time, relying on statistical techniques. However, recent discoveries of celestial objects known as Extended Scattered Disk bodies (objects that maintain an orbit beyond 50 AU of the Sun), with otherwise inexplicable orbital characteristics, may be the hard evidence needed to prove our sun is part of a binary system. One school of thought is that a passing star could have pulled their closest approaches away from the Sun. So Buffy was pulled into a circular orbit and Sedna, being closer to the alleged star, pulled into an elliptical orbit away from Neptune’s reach. But others argue that this neither explains Buffy’s 47-degree tilt nor Sedna’s extreme elliptical orbit. “It is hard to imagine that Sedna would retain its highly elliptical orbit pattern since the beginning of the solar system billions of years ago. Because eccentricity would likely fade with time, it is logical to assume Sedna is telling us something about current, albeit unexpected solar system forces, most probably a companion star,” said Cruttenden. 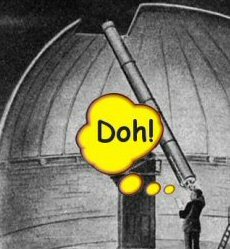 Whether Brown and Cruttenden ever get to say “told you so!” remains to be seen, but the constantly improving observational technologies available to astronomers may help uncover more evidence of the Sun’s binary companion, or, perhaps the nebulous star itself.